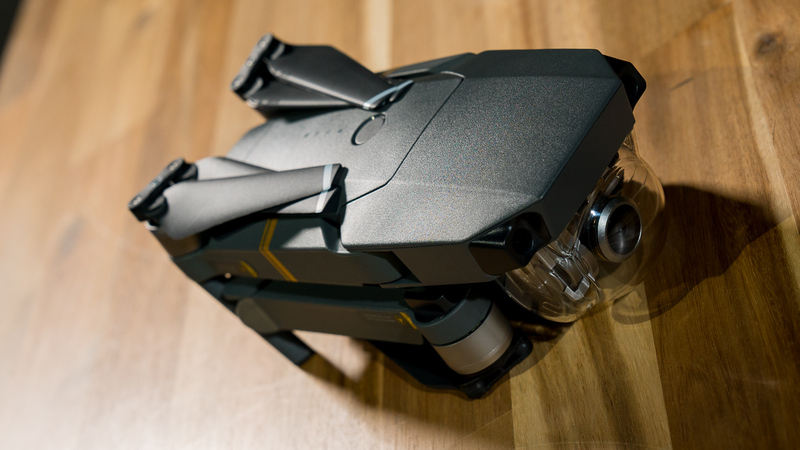 If you haven’t heard of the DJI Mavic by now, get ready to have your mind blown. 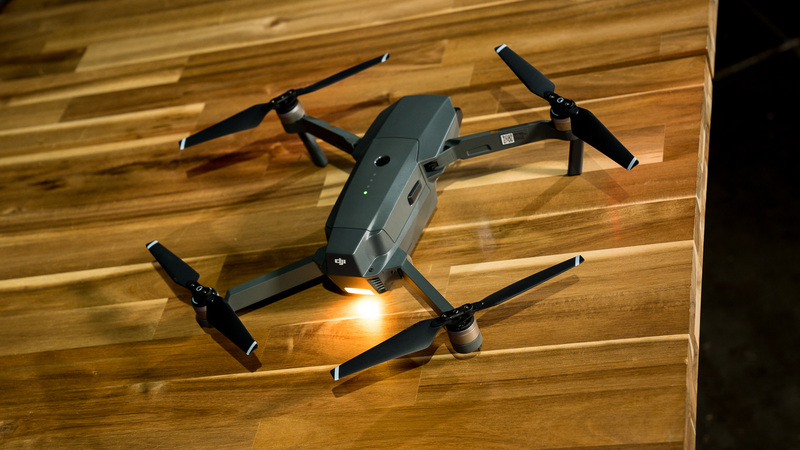 The company that introduced consumer photography drones to the masses and set the bar (again and again) has continued to innovate with the release of this new addition to their stacked lineup. 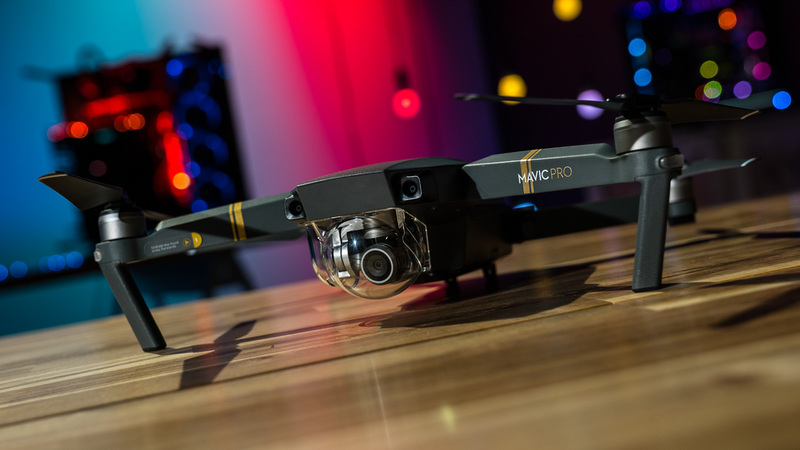 We got our hands on the Mavic and did a few quick tests to see if all the ranting and raving is warranted, and if it has indeed become the new gold standard for consumer drones. With the recent portfolio of quadcopters coming out of DJI in the form of the Phantom 4, Phantom 4 Pro, and the Inspire 2 all in 2016, the Mavic has a tough act to follow. DJI didn’t skimp on the R&D for the Mavic, and threw out the recognizable design that has been their calling card. The white body and smooth edges were scrapped in exchange for slate grey, angular lines that present a much more intimidating look. 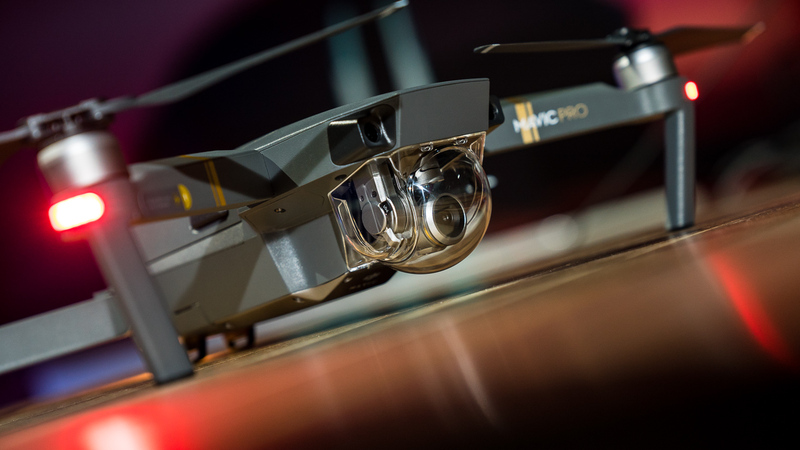 While there are smaller drones on the market for hobbyists and more novel designs for purely selfie drones that come in lighter and smaller, the Mavic is the first high quality photography drone to successfully drop the footprint to such a small size. Veering from the past DJI models, the Mavic is compact. The folded drone is just around 3-1/4”x 3-1/4”x 7-3/4”, which is roughly the size of a water bottle and brings to mind the image of a bat with its wings folded. For some reference, the Phantom 4 aircraft came in at 3.04lbs, while the Mavic is half that at 1.64lbs. With the new streamlined design, DJI opted to remove the large central landing gear. This was needed to protect the gimbal on the previous models, but since the camera is now mounted in a bubble like the gun turret on a B17 bomber in the front of the aircraft it isn’t necessary. Weight was shaved from the arms, compressing all the innards into about 1/2” x 3/4” rectangles that fold inward. Likewise, the propellers are not fixed like the Phantoms, but collapsible. The max speed on the Mavic is 40mph without wind in Sport mode, which is a 5mph drop from the Phantom 4 Pro. The flight time also comes out just 3 minutes less at 27 minutes, just shy of the 30 minutes the predecessor maxed out at. Getting your drone to altitude will take slightly longer, as the new ascent and descent speeds both lose 1 meter/second from the Phantom 4 Pro. Upgrades to the system do allow you to max out the flight distance at 8 miles, while the unobstructed transmission range from the remote is 4.3 miles. Just like with the Phantom 4 Pro, the obstacle avoidance and hovering systems utilize five cameras, two ultrasonic range finders, and 24 computing cores in conjunction with the GPS and GLONASS data to keep things simple and on track. The flight modes are unchanged from the previous model drone, allowing you to use Gesture Control to snap photos like a selfie drone, tap on the screen to set a destination point using Tap Fly, track moving targets and follow them using ActiveTrack, and more. All in all, the performance remains very comparable to the Phantom 4 Pro (you can read our review of the Phantom 4 standard here), which is pretty surprising considering the drastic size reduction of the Mavic. 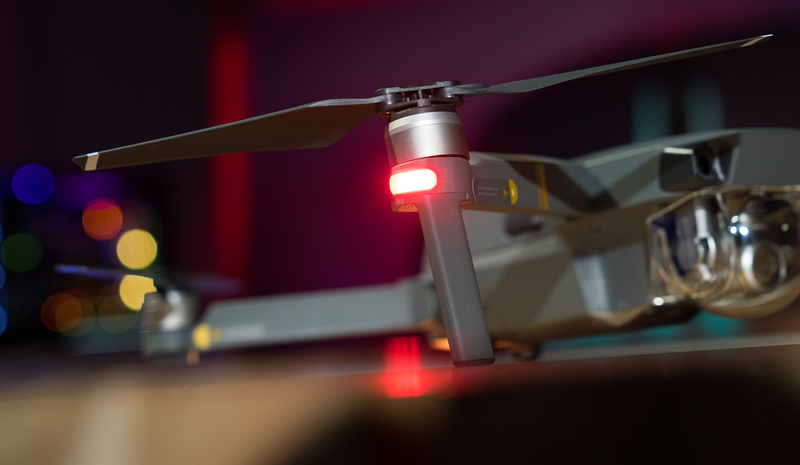 If you were hoping for a slew of new features and performance boosts with the Mavic though, you might be disappointed. 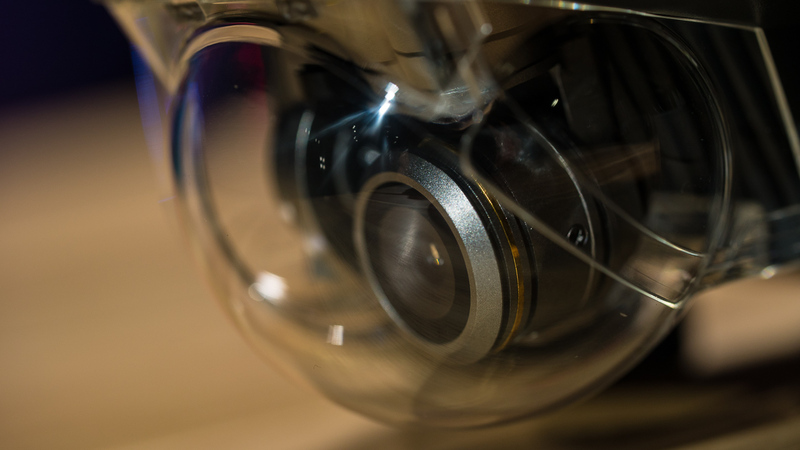 The camera and gimbal, while shrunken down to fit the new design, are still very capable pieces of machinery. The sensor has been reduced from a 1” CMOS with an effective pixel rating of 20M in the Phantom 4 Pro to a 1/2.3” CMOS with 12.35M effective pixels in the Mavic. If you are looking for higher quality content while still in a consumer model, your safer bet would be to stick with the Phantom 4 Pro. The Mavic does only have an electronic shutter, while the Phantom 4 Pro has both an electronic and mechanical shutter. The overall FOV was reduced from 84° to 78.8°. Other than those mentioned changes, the majority of the photographic capabilities are the same, with video quality remaining variable from C4K and 4K down to 720p. The movement of the camera forward puts more weight at the front of the aircraft, in an attempt to balance out the heavier rear end when the battery is added on. Without the battery the weight is pretty evenly distributed though. I have heard people complain of glare from the gimbal shield bubble, but this is easily removable if you find it to be an issue. UPDATE: I did notice (as you can too in the video above) that when flying towards the sun the glare causes a vision impediment. One thing to note about this is that the Mavic actually registered the glare as a physical object, stopping it from proceeding forward in the direction commanded several times. The quick workaround is to point the camera down towards the earth, and move forward or below the horizon. There are different lens filters and bubble hoods that can be picked up to mitigate this issue though. Another note on the camera that can cause quality issues is the new focus feature. On the Mavic you need to focus the camera before capturing footage, or it will be blurry and soft. That’s not an issue that the previous Phantoms had, so you’ll need to remember to tap the screen to focus like you would with a smart phone camera. Many more improvements over the Phantom series find their way into the Mavic controller. It is smaller, more lightweight, and more ergonomic than the previous models and far easier to transport. The adjustable hand grips are comfortable in use, and allow you to use your full hand without feeling cramped up, but not adding to the weight of a full block of material. When folded up it’s about the size of a 1990’s Nokia mobile phone, which isn’t small for a cell phone by today’s standards but is very compact when talking about photography drone remotes. The new remote comes with a mini screen to use if you don’t want to drain the phone battery, which allows you to use line of sight piloting and still read the data readouts. While this doesn’t allow you to use certain features like Tap to Fly, it does give you more comfort when going on quick flights or keeping relatively close distances without losing all your flight settings. 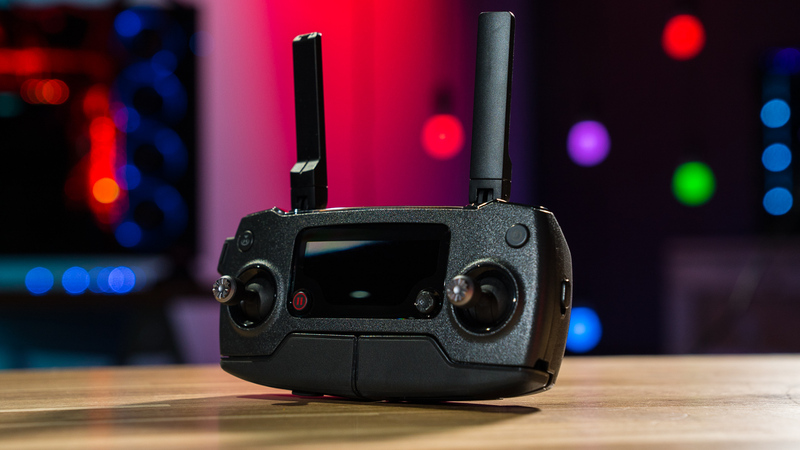 Of course, it also connects to a phone if you want more information displayed and to use the FPV camera, as well as the full feature list that the DJI Go 4 app and Mavic offer. The attention to details and well-thought-out design changes make this drone a hands-down winner in my book. The Mavic comes as a starter kit or in the FLY MORE combo, which comes with 2 extra batteries, a carrying case, two extra propellers, and a car charging hub,which is pretty useful for road tripping, for about an extra $300. It’s hard to believe that the Phantom 4 was released just a year ago, in March 2016. In the past year DJI has come out with the Phantom 4 Pro, which set the performance bar, and then took that performance and worked some technical wizardry to squish it all down into a far more space-efficient design with the Mavic. 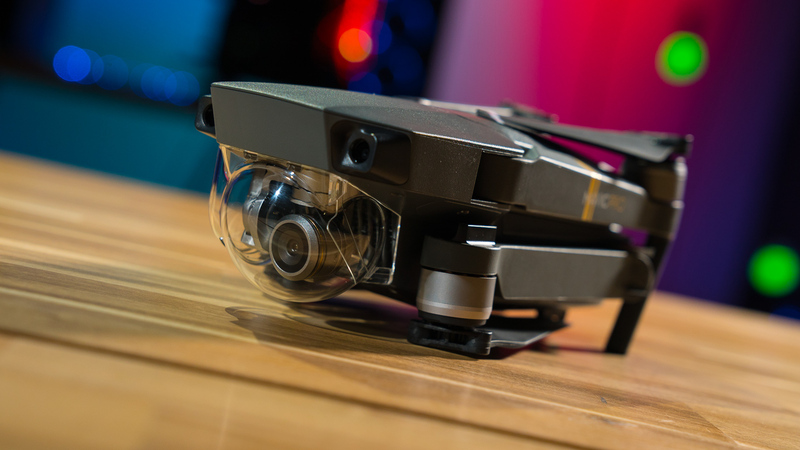 By many design metrics,, the Mavic has indeed set a new standard for the future of consumer drones. The advancements in terms of size reduction, efficiency, and overall portability make it a prime choice for travelers or those that are willing to sacrifice some photographic quality for portability and space efficiency. It’s true that the Phantom 4 Pro does still have a quality leg up on the Mavic, and would be a better choice for those focused on photography without the need to consider portability. I expect that the second iteration of the Mavic will pack some intense performance and photographic upgrades, since DJI has clearly mastered the scaling down of their systems on the first go. The Mavic is great for people who want high quality video/photo content wherever they go without needing to lug a completely separate backpack around just to have their drone safely transported. I for one am eagerly awaiting the next release from DJI, which will have to come to the table with some serious clout to live up to their strong line of quadcopters. But… Where are the goggles? I wanted to know what happened, because I was going to buy several products for my use. I canceled one because I made a mistake. I was going to get the other HD from the PRO series for desktop. After this they canceled all my requests. I want to know why. Yeah, I want to buy.